Roll it! Flip it! Score it! 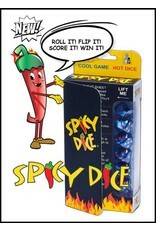 Win it! 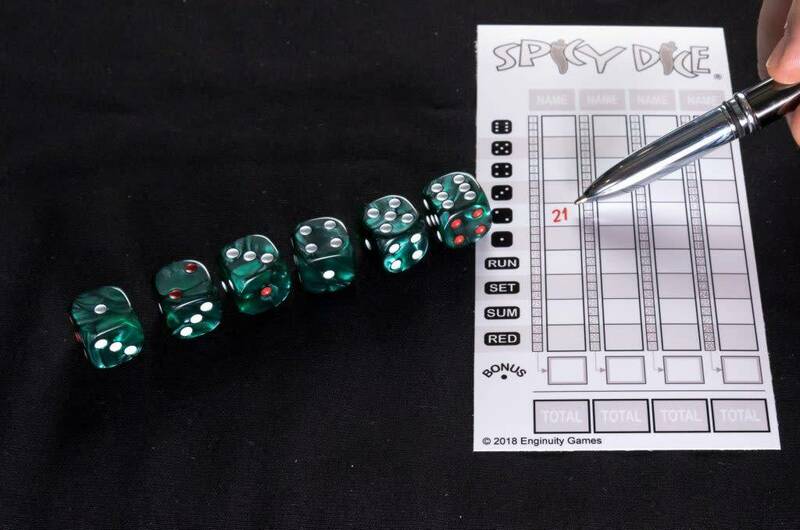 Spicy Dice is not just one game -- it's a set of unique dice with which you can play many great games. Plus you can make up your own rules! 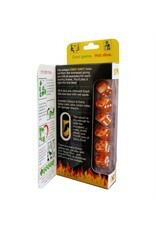 All six dice are different. Each has one face with red spots that have special powers. 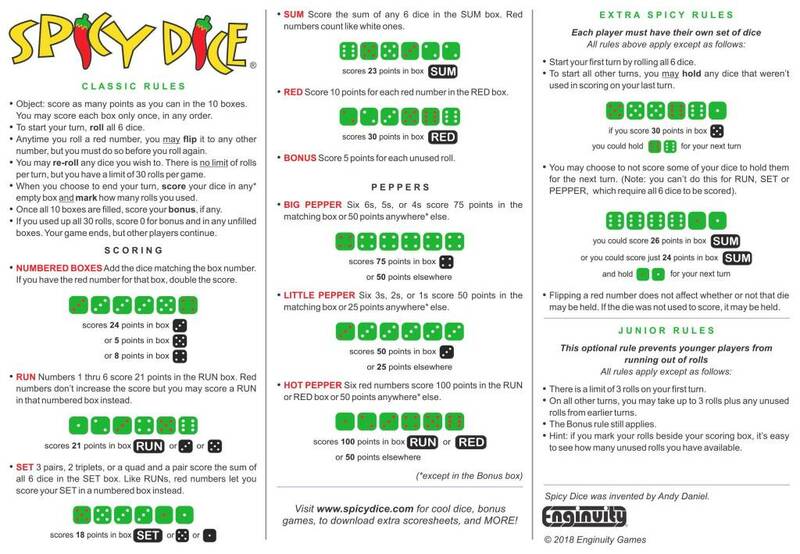 Score as many points as you can in the 10 boxes on the score sheet. 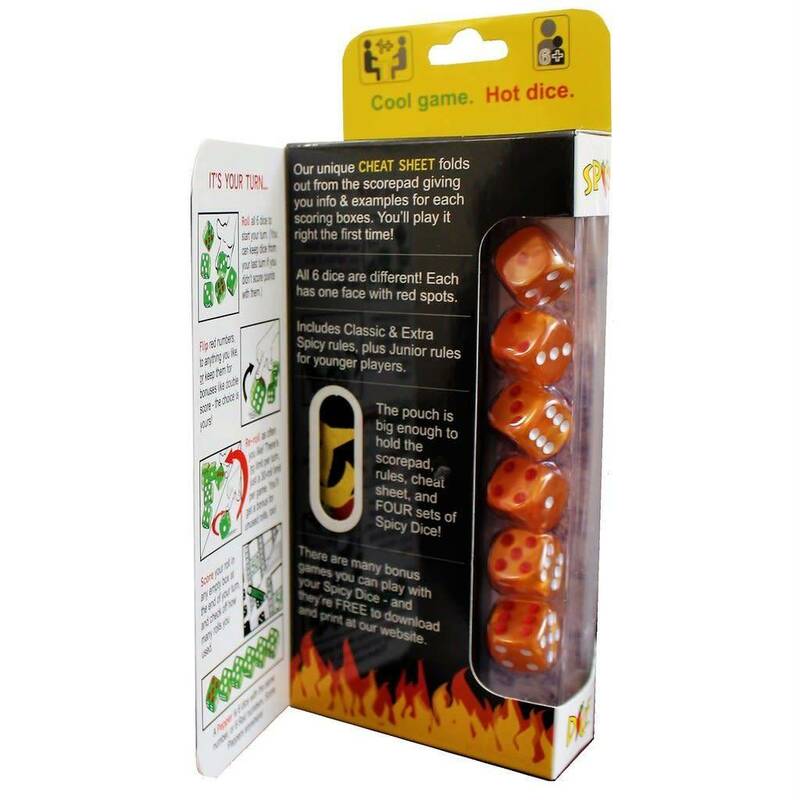 On your turn, roll all six dice. 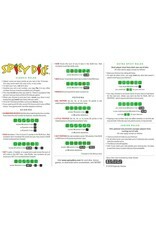 Decide which ones you want to score with and fill in one of the ten boxes on the score pad. Roll as often as you like. 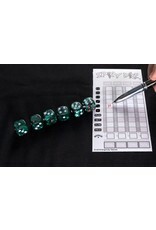 There is no limit per turn, but there is a limit of 30 rolls per game which you must keep track of on the score pad. You can flip red numbers to anything you like, or keep them for bonuses like double scoring. Expansion packs available for even bigger fun (sold separately).